While many have heard of the Googlebomb, it is commonly regarded as a playful Internet prank. Until recently, it was most frequently used as a tool by mischief makers and political protesters to achieve their aims, but is now a growing threat that needs to be terminated once and for all. Since the beginning of time, people have, and always will express their opinions. (Like this one about the Site Build It Scam bomb). By all means, in a free society, people should be at liberty to do so. Likewise, gossiping or rumor mongering are practices as old as mankind itself. But orchestrated maligning to ruin one for another's gain go much further than idle gossip and oversteps the bounds of freedom of speech. When intentions are vicious and influence sufficiently strong, gossip can deteriorate into outright character assassination. Smear campaigns were once afflictions plaguing only high-profile individuals. This liability could be considered part of the territory when it comes to fame or celebrity. But celebrities have publicists, and politicos have press agents. The everyday person is ill-equipped to deal with the onslaught of a full-on Internet attack. A Googlebomb is a manipulation of search engine rankings that uses the textual part of links (called "anchor text"), to drive pages to the top of search engine results. The technique exploits search engine weaknesses to falsify search results and create any effect the perpetrator wishes. It is a purely mechanical contrivance using Google's search technology. If someone wants to make you look like a criminal, they can. If someone wants to smear your family name, they can. If someone wanted to ruin your child's life and tarnish their future, they could. The fact that Googlebombs can even occur is unacceptable. That Google allows them to exist is reprehensible. What is most disturbing is that, in reality, manufacturing a Googlebomb is relatively easy. And once it is in place, it is nearly impossible to remove. The real skill involved in creating a successful Googlebomb is the ability to persude or encite enough passion that the bomb takes on a life of its own. Picture an "angry mob," for example. It just so happens that highly successful users of the technique are particularly adept at provoking negative emotion. What produces more outrage than injustice and lies? Seldom is it realized that the lies and injustice are dispensed against thetarget of the bomb. Provocateurs can be very convincing. With it being so easy to manufacture these destructive Internet campaigns, who is really at risk for the profound, lasting effects of these spiteful search engine manipulations? The unfortunate, sobering answer is anyone. 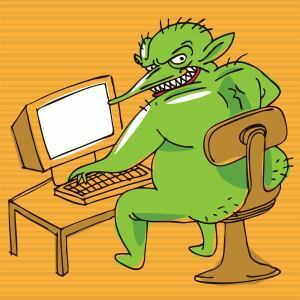 No one online is exempt from the whims of pranksters, bullies or anyone with an axe to grind. This is an accomplishment of which Google should be very proud because even teens and children are exposed to potential ruination by mean-spirited peers. And once the bomb plays out, it travels forward indefinitely through time and cyberspace where every published word is an indelible mark. Google's Inherent Flaw Is That It Doesn't Care About, or Account For the Truth. That means that fake results are given more prominence than real results. Are these the type of results Google values? In the commercial realm, Googlebombs are emerging as a new way to gain market share. Competitors achieve this by exploiting an opponent's keyword (usually, its brand name). Then it calls the product's validity into question and attacks its maker's moral character. Facts and research are unnecessary. False claims and outright lies are made to appear factual as the emotional frenzy that powers the bomb drives the competing page up the ranks into the prominent position. Once the competitor is outranking its opponent for that search term, it can intercept traffic and freely siphon market share, choking out would-be customers and sales. Who Would Use Such Dirty Tricks? If you think about it, dirty tricks are the hallmark of companies most wouldn't want to do business with. And like phishing and other email fraud, the public should not be freely exposed to them. Companies like Paypal and Ebay take precautions to keep its users safe from fraudulent schemes. Reports of suspicious activities are gratefully accepted and acted upon by these companies. That's corporate responsibility and taking care of its users. But when Googlebombs are reported to Google, it does nothing. Yet Google provides all the exploitable tools for free, then pretends it has no responsibility for what is done with them. Google has been sued for a similar problem with its search tool. This is a very simple game. Merely append the word "scam" to a company name, Google it enough times, and it becomes a permanent suggestion in Google's autocomplete function. This tactic plants the seed that the company the user is searching for is a scam. If Google suggests that you find "XYZ Company Scam," then XYZ Company most certainly is one. Like the Googlebomb, this is a purely mechanical contrivance. The only "fact" involved is the keyboard and the ability to type the phrase on it enough times to make the autosuggestion stick. Additionally, it has been discovered that Google Places can now be gamed quite easily. Google didn't think it through (or didn't care) when it provided the free and open access to report a business closed. Anyone can click a button and report a particular business as "out of business" and Google will accept it as fact. No verification needed. Any business can be dropped and put out of commission with a few clicks of the mouse. Google is the master at side-stepping issues and has the ability to appear that it is not responsible for what it creates. Shockingly, the world accepts this. But it's Google's proprietary algorithm that runs its search engine. No one else controls their algorithm that is causing these phenomena, so how is it that Google is not responsible? It claims that it has solved its Googlebomb algo (algorithm) problem. But there is proof all around that it hasn't. It also claims it doesn't remove Googlebombs manually, and unless a particular manipulation hits major media coverage, most of the affected businesses or people are left to fend for themselves. Google's advice to the low-profile "commoner" is to contact the owner of the site in question and ask them to remove the offending page. This might work, but when vested interests are at stake, offending site owners scoff. Whether it's a so-called "innocent" prank, a political maneuver, commercial sabotage or any other usage, the ability to Googlebomb anyone or anything needs to stop. The issue at hand is not about freedom of speech, nor is it about censorship. (More on the pros and cons of censorship here.) One can make one's point in other ways without disastrous consequences or injustices on others. Saying what you want to say and the ability to ruin others are two very different things. No, this issue is about Google's technological vulnerability, complacency and intentional oversight. This is about your safety and the safety of your family and friends. Because when it happens, Google will not listen or help. You can help shine a light on Google and be heard. Read this proof that there is no true Googlebomb algo and show your support. It takes just a few minutes and your voice can make all the difference. Google needs to fix its Googlebomb aglo now, for real, so the Internet can be a safer place and the realm of opportunity for which it has true and infinite potential.